DEEPLY NOURISHING IN-SHOWER BODY LOTION is intended for daily care of sensitive and dry skin. Innovative formula based on CELLFORTE® technology, acting in synergy with Luxury of Youth Complex™, intensely nourishes, moisturises and smoothes out epidermis. Argan oil considered the real “elixir of youth” regenerates, perfectly rejuvenates and improves skin condition. Plant stem cells – PhytoCellTec™ stimulate skin stem cells to intense self-renewal, enhancing density and resilience of epidermis. Vitamins A, E, F complex restrains ageing processes, protecting skin cells against harmful action of free radicals. Pleasant, delicate fragrance ensures exceptional feeling of freshness and comfort. STEP 1. Before application of the lotion wash the body and rinse off the foam thoroughly with plenty of water. STEP 2. 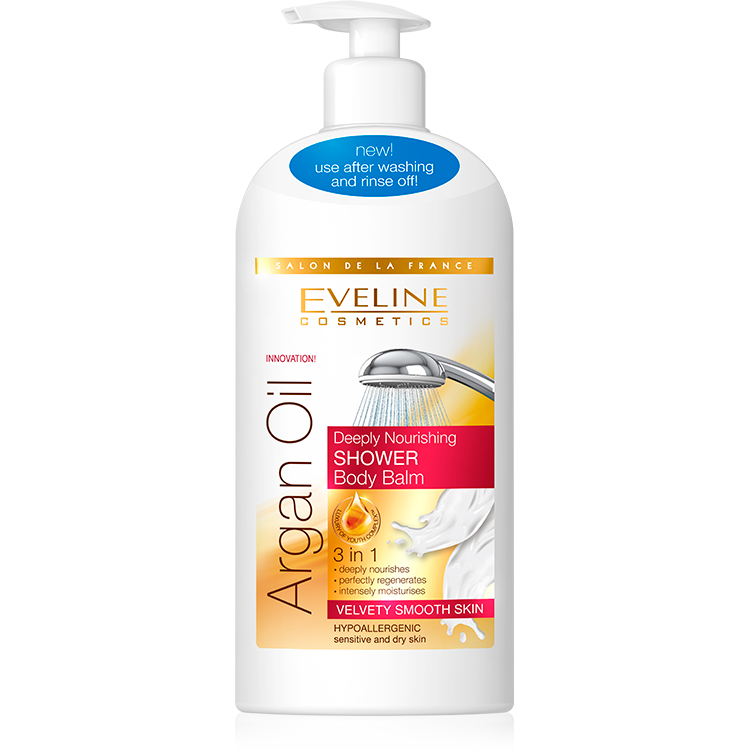 Apply the shower lotion onto washed, damp body skin, massaging with circular movements. STEP 3. Rinse off the excess of the lotion with water. STEP 4. You can dress up immediately after delicately drying the skin with a towel. velvety smooth and soft to the touch immediately after application!